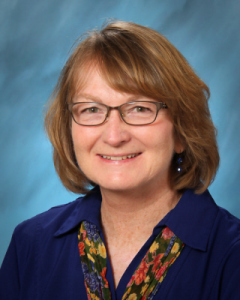 Debbie Lampert joined the All Saints faculty in 1996. She received a BS in education from the University of Great Falls in Montana. Debbie became a Catholic school teacher because it allows her to celebrate God’s presence every day in every area of learning. She hopes that “each child takes with him/her a deeper awareness of the love of Jesus and an excitement for learning.” Debbie is one of our beloved Kindergarten teachers and is also an alumni parent of All Saints!